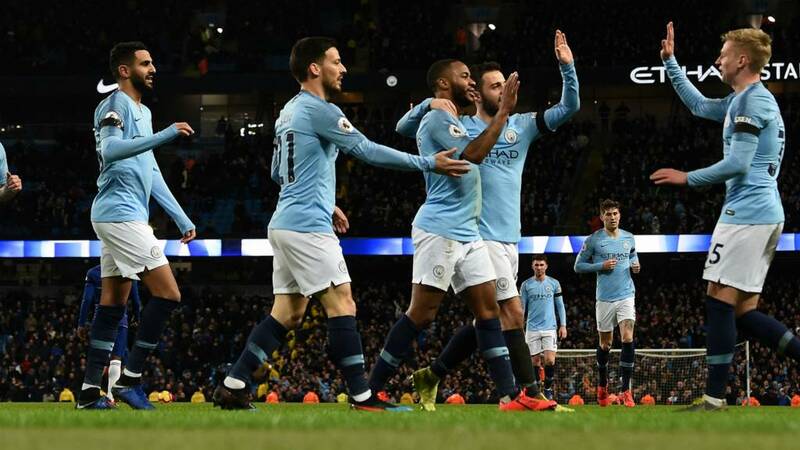 That Manchester City are on course to defending their Premier League crown is not in question as the team is currently firing from all cylinders. The latest victim of the Citizens ruthless form is Chelsea who they clobbered 6-0 on Sunday to return to helm of the league standings on 65 points same as Liverpool who have played a match less. Despite the slight advantage of a game at hand which Liverpool is enjoying, City boss Pep Guardiola feels no pressure. “Pressure does not exist, all we can do is play like a team. If we don’t win, we’ll try again next season. I demand the players do their best,” said Pep after the Chelsea massacre at the Etihad Stadium. Liverpool bounced back from identical 1-1 draws against West Ham and Leicester City with an emphatic 3-0 thumping of Bournemouth on Saturday to stay on course. “We wanted to show a reaction and we did,” said the Reds manager Jurgen Klopp. “We knew we were not happy with our performances in the last two or three games but the reaction the boys showed was outstanding. You can win or draw for different reasons but here we don’t just want to come through somehow, we want to play convincing football, and that is what we did.